Obituary – Bobbitt, Charles Thomas « Perry High School Alumni Association, Inc.
– son of Mr. and Mrs. C. L. Bobbitt, 512 Sixth street, was born in Sand Springs 17 years ago. Charles has lived in Perry for six years. The only schools he has attended are those in Sand Springs and Perry. He has been in the band ever since his moving to Perry and was vice-president of the organization for the past two years. After he graduates, Charles plans to join the army air corps as a mechanic. Charles Thomas Bobbitt (Charlie) died on June 21, 2012. He was surrounded by his loving family at the time of his death. Charlie was born in Sand Springs, OK, Sept. 7, 1925, to Clifford Thomas and Ella (Bechtold) Bobbitt. In 1937 the family moved to Perry, OK, where he completed his high school education. He was a WWII combat veteran serving with the U.S. Army in the southwest Pacific. After his honorable discharge, he enrolled at Oklahoma A&M College (Oklahoma State University) pursuing a degree in Chemistry. At the end of his sophomore year, he met Helen Hess, another chemistry major from Bartlesville, OK. They were married at the end of their sophomore year on July 18, 1948, at First United Methodist Church (UMC) in Bartlesville. They both received their BS degrees in Chemistry in the spring of 1950. After graduation, Charlie taught high school chemistry and math in Healdton, OK. The couple then moved to Bartlesville where Charlie began his career as an analytical chemist in the research division for Phillips Petroleum and was a valued employee there for 34 years. After his retirement, Helen and Charlie did extensive remodeling on their home in Dewey. He was an active member of his church and did extensive volunteer work for Voice of the Martyrs in Bartlesville. Charlie loved antiquing and the family spent many fun hours in their shop refinishing and refurbishing old treasures. He was an avid outdoorsman and always enjoyed hunting and fishing. Camping trips were the vacation of choice. He also had a wonderful gift for storytelling and entertained all his friends with original tales and recollections of family history. Charlie is survived by his loving wife Helen, his daughter Maggie Bobbitt of Chicago, his son Mark Bobbitt of Bartlesville and his sister Pauline Goad of Oklahoma City. He was preceded in death by his mother and father and two sisters. 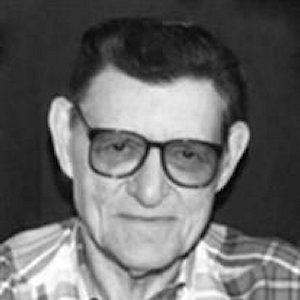 Funeral services for Mr. Bobbitt will be held on Monday, June 25, 2012, 2 p.m. at the Dewey United Methodist Church. Rev. Rick Robart with the Dewey United Methodist Church will officiate. Per Charlie’s request the family suggests casual dress for Monday’s service. Arrangements are under the direction of the Davis Family Funeral Home.